Had to post this. It has the word “sport” right in the name. Also, these are pretty special bikes. 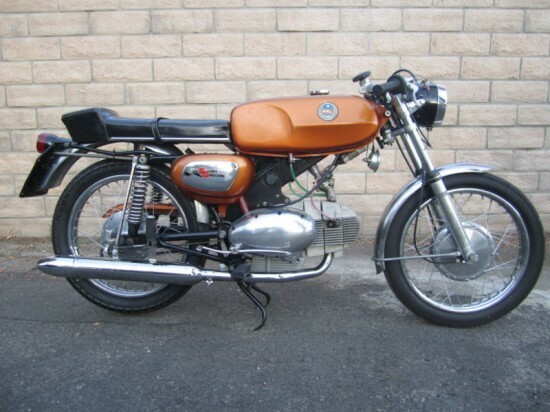 I have recently started gaining knowledge of 1960’s Italian bikes. The more I learn the more I like them. These bikes are a perfect example of form and function blended together to make a very sporting small cc bike. I know 125cc’s probably don’t come to mind when you think and race bikes. In the beginning or road racing though small cc races were every bit competitive and translated to sales for the motorcycle companies that could consistently win. The Italians were a big part of that time period. 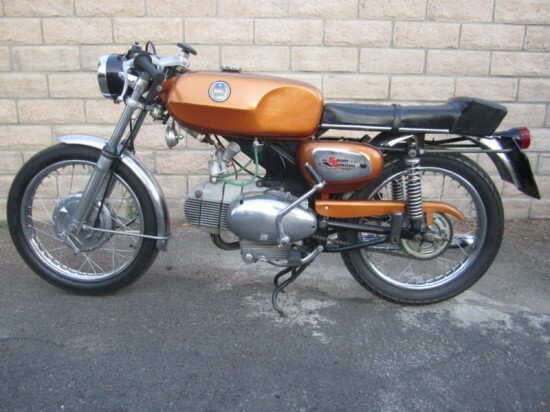 A very nice original 1969 BENELLI 125 SPORT SPECIAL 125. 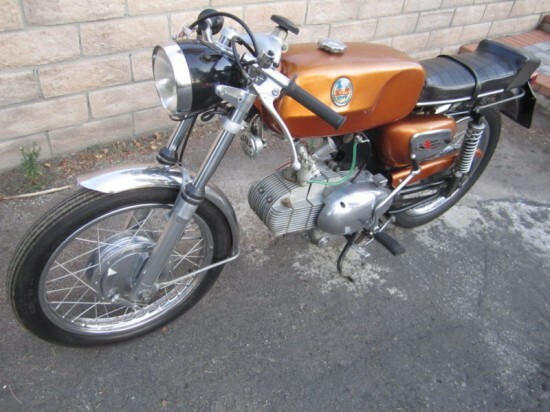 This is a fairly hard to find model and is one of the best Italian motorcycles of the sixties. Overhead valve 4 stroke. 5 speed. A FAST 125!! Original factory paint. Correct Radaelli Aimon Sport rims. New exhaust system. Good running and riding condition. Speedo reads 11625 kms (approx 7220 miles). You are welcome to visit in Tarzana (San Fernando Valley part of Los Angeles). Can crate and ship to most major US cities for approx $300 depending on distance. Even if you aren’t interested in small cc bikes this one needs to be seen. Everything about this bike flows into the next. Also if you want to see a small bike go for big money this one is something to see.